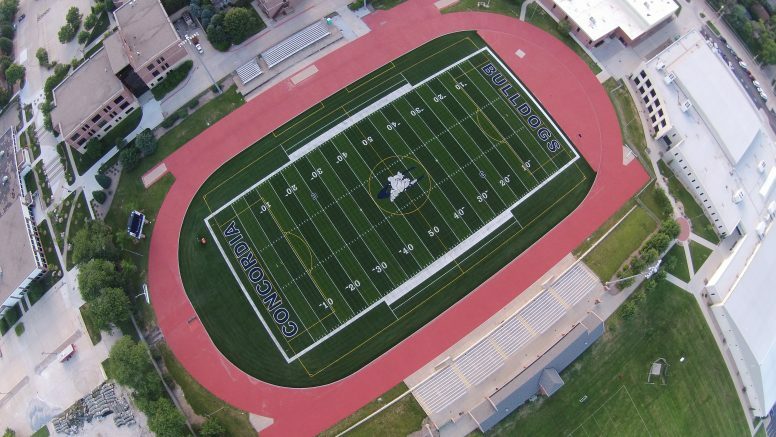 In 2016 Midwest Synthetic Turf Professionals was contracted to replace the existing worn out synthetic turf surface for Concordia University and replace it with Sporturf™ PowerHouse. PowerHouse 2 1/2” pile height was chosen by the school to add additional sand for weight to stabilize the turf surface during heavy rain events. 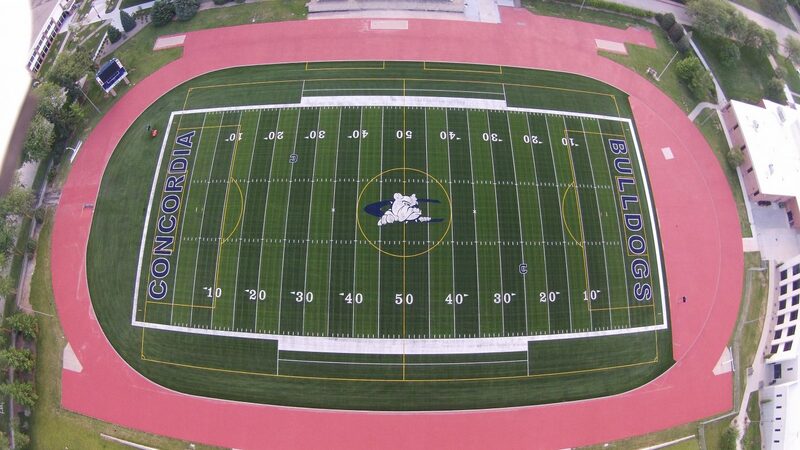 Due to the natural terrain, the existing turf experienced some movement due to rainwater rushing onto the field so MWSTP considered those issues when planning the new field. The PowerHouse series is made up of some of the most proven and durable fibers in the world making it the ideal choice for the Concordia Bulldogs. Concordia University is a private, coeducational institution of higher learning located in Seward, Nebraska, about 25 miles west of Lincoln.